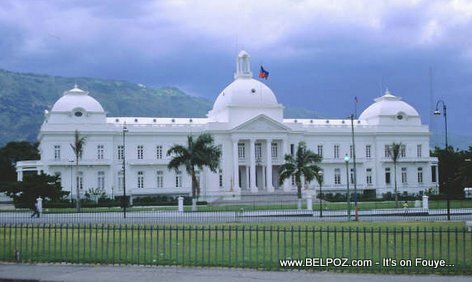 Haitian Politics : What is "Politique de Doublure" does it still exist? You want to know how deeply rooted Haiti's political problem is and its relationship with the dominant class? Read this... "Politique de Doublure," I just found out, refers to Haitian politics from the mid 19th century where the mulattoes used black presidents as figureheads. After the Haitian independence, left on their own with no international trade, the Haitian economy returned to subsistence agriculture as the great plantations were divided up amongst their former slaves. The newly freed Haitian population was left with no civil institutions to guide them and no help from the outside world. Mind you, it was a white world out there. Who would want to help a newly born black nation at that time? The Haitian mulattos became the ruling class and coups and infighting were the norm over the next century. "Politique de doublure" described elite rule by the Haitian mulattoes with a figurehead black as the head of state. I have to give the man credit. I first head about this term "politique de doublure" from Reginald Boulos in an interview he gave in Haiti answering questions about the problem of skin color in Haitian society. « My window with a garden view in Haiti vs garden view in the United States!